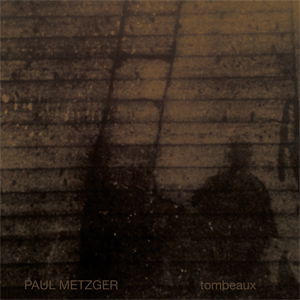 Tombeaux attains a new high-water mark in the career of Paul Metzger, one of North America’s greatest instrumentalists. Recorded in the dead of Minnesota winter, at home and alone, it’s the eighth Metzger release to feature his self-modified, 23-string banjo. The album marks our alchemist’s third appearance on NN, following critically acclaimed contributions to labels like Locust, Roaratorio and Honest Jon’s. Tombeaux consists of three compositions. “Sepulchre” is a radical reworking of an original piece dating from 1984. “Of the Passing” is another Metzger original (showcasing some beautiful bowing), while “Beau Soir” features a wonderfully curious arrangement of Claude Debussy’s 1883 art song.Metzger summons the spirits of his musical Appalachian forefathers, guitarist Django Reinhardt and classical sitarist Nikhil Banerjee, among others, weaving a peerless, highly individualistic style that sounds unlike anyone but himself. Metzger’s playing doesn’t imitate raga structures so much as use those modal figures as his starting point. He employs dazzling, breviloquent string plucks on the main banjo strings, whilst producing rhythmic, droning textures on the cross strings of an added bridge. 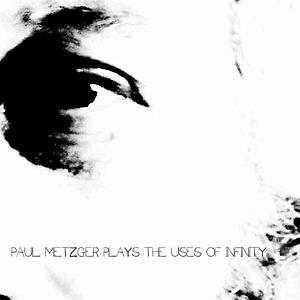 Some have suggested similarities to the works of John Fahey or Sandy Bull, but Metzger’s modus operandi doesn’t constitute a mirroring of those styles; rather, he composes and operates apart from their music, in an insular and altogether separate universe. 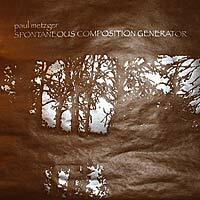 In the process, Metzger transcends and expands the lexicon in a wholly organic manner. 13 one-sided 5:00 33.3 rpm 7″ discs recorded live direct to lathe – available for purchase at upcoming metzger shows in europe. 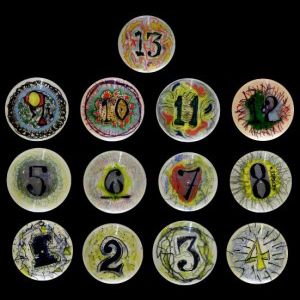 each is a one-of-a-kind low-fidelity section of one long improvisation – hand painted by the artist himself. Watch a video excerpt of the recording process here. 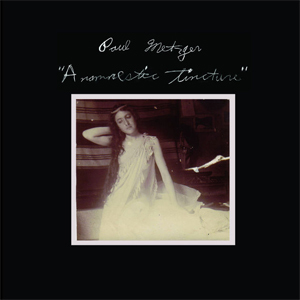 Anamnestic Tincture is a live album by virtuosic musical carpenter Paul Metzger, culled from many hours of concert recordings. 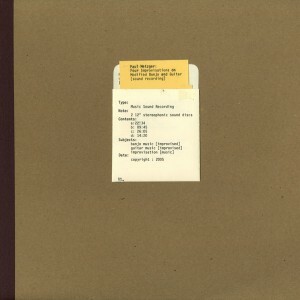 Side one comprises Metzger’s public debut on his modified banjo, recorded in 2002 at a former church-turned-underground art space in Minneapolis. One of his most memorable compositions, “After Milo” later turned up as an untitled improvisation on his CD for the Chairkickers label. Jumping ahead six years (and several more banjo alterations later) to side two, the glittering “Orans” gets a workout at a memorial show for the artist Matt Zaun. 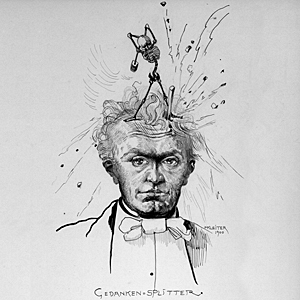 As an acknowledgment of the occasion, Metzger also gave a one-time-only performance — “Dark Green Water” — on another of his mutant instruments: an acoustic guitar with the body drilled out to accommodate a cymbal set into its face, and ten assorted strings of varying lengths laid over the top, giving it a particularly metallic and dissonant sound. Anamnestic Tincture is released in an edition of 425 copies, with an original vintage snapshot mounted on each cover. CD pressing of 500 One track played on modified acoustic guitar and one track played on modified Banjo. For those unfamiliar with Saint Paul’s Mr. Metzger his works offer and amazing mix of Indian ragas crossed with a junk yard band feel, highly evolved and incredible unique. Recorded in 2007 at BigJar in Philly a fantastic piece of documentation offered in unaltered form. The CD edition comes housed in a slightly taller sleeve with two color silk screen work by Alan Sherry of SIWA on a heavyweight 140lb paper. 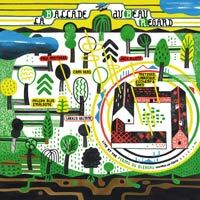 The front cover is die cut with and inserted picture from the performance printed on vellum. Graphic work by Demian Johnston. 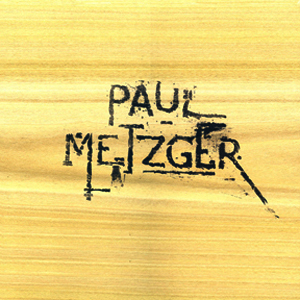 Paul Metzger continues to pile up the plaudits from critics and peers alike for his virtuosic string-slinging, gaining notice through his CD on Chairkickers and his split LP with Ben Chasny and Chris Corsano on Roaratorio. 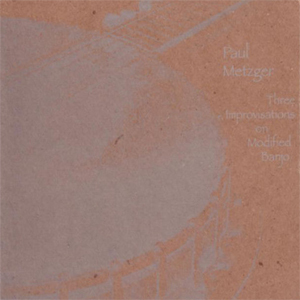 Metzger’s modified banjo is tricked out with additional sympathetic raga strings, although the compositions on Gedanken Splitter are informed by much more than Eastern drone music alone. Recorded in the same period as 2007’s Deliverance on Locust Music, this is a more jagged and aggressive (although no less accessible) affair. Metzger winds these improvisations around thornier threads than on his previous releases, and while never turning completely abstract, Gedanken Splitter moves even further away from anything resembling typical banjo fare. 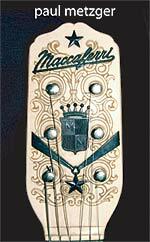 This is mesmerizing and singular playing. Minnesota’s Paul Metzger is an unsung hero of the unaccompanied string instrument and a master musician of an instrument of his own invention. 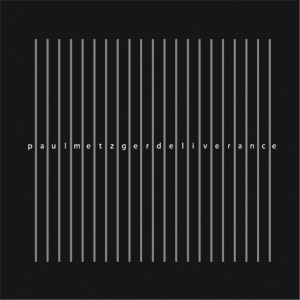 On Deliverance – a real time performance on his overhauled 21 string banjo – you’ll be treated to some of the most deeply satisfying & impulsive outer cosmos ragadelia you’re ever likely to hear. Clocking in at nearly 60 colossal minutes, Deliverance is 3 tracks of unfiltered aural transcendence; a hypnotic raga epic that’s by turns a slow burning meditation & an urgent mind / body duel. 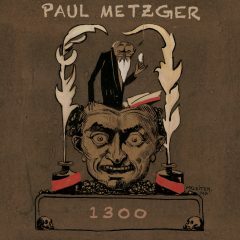 Paul’s playing may summon up the spirits of Sandy Bull’s searching inventiveness, Billy Faier’s out Tacoma sides, J.P. Pickens’ tweaked Americana, Henry Flynt’s searing harmonic drones or Big Jim Sullivan’s psychedelic exotica, but at the end of the day, Metzger is no idolater and we’re all a little luckier to have him around to occupy his own singular post in this post- Fahey world. Available on CD and limited 180 gram virgin vinyl housed in a stunning gatefold jacket. In a time where an increasing deluge of acoustically-oriented recordings are being pumped up with words like “iconoclastic” or “transcendental,” it can sometimes be difficult for the adventurous listener to have any clue as to how to separate the wheat from the chaff. Hype and hyperbole be damned; this is the real deal. Metzger’s title “modified banjo” could tend to confuse even the most discerning among us. While it is indeed true that a visual inspection will reveal an instrument so mutated that it bears little resemblance to that simultaneously venerated and reviled backwoods icon that it once was (he has added more than a dozen strings, a sitar bridge and otherwise mutated a traditionally limiting instrument into something entirely unique), it is ultimately one’s ears that will yield the most incredulous reactions and ask the hardest questions after being fed their particular set of stimuli, as it is ultimately Metzger’s approach to the instrument and the sounds and melodies he wrenches from it that are the greatest and most significant modifications being made here. Metzger’s singular, irreverent approach and fluid dexterity in attack are made evident in his seamless hybrids of North Indian and Asian influences, jazz and folk forms through a vehicle that typically ruts its wheels in Americana hill country and are truly unprecedented. 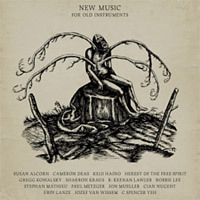 Recorded within the acoustically resonant confines of Duluth’s Sacred Heart studio (itself once a church), his three lengthy improvisations venture into the meditative sublime, a deeply cognitive set of compositions that exit miles beyond what one normally expects from the banjo. Now available! 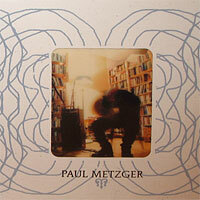 Paul Metzger’s debut solo LP! Guitarist for Minneapolis’ legendary band TVBC, Paul Metzger has been burning up electric ragas for years. He has also been spending years at home building and modifying his own instruments and composing solo pieces. Recently he has been coaxed into some very well received live shows, which have inspired him to bring some of these compositions to the world. 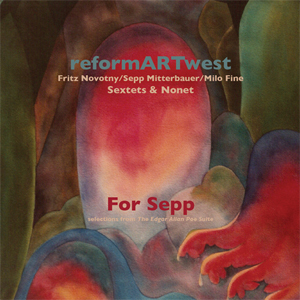 This LP is composed of two side-long pieces played on Metzger’s modified fretless acoustic guitar, which has had additional drone strings added. This is a limited-edition (500 copies) 180 gram LP with a hand-printed covers, each unique and printed by the man himself. never properly released. an improvisation on monk’s bemsha swing preformed on plastic maccaferri guitar. For over two decades, Paul Metzger — guitarist for the on-again/off-again punkjazz trio TVBC — was one of the Twin Cities’ overly well-kept secrets. His recent emergence as a solo artist, via a pair of glowingly-received releases on the Chairkickers & Mutant Music labels (quoth WFMU: “the best banjo playing ever”), has started to raise his profile to a level commensurate with his devil’s-crossroads-deal talent. On a guitar modified with music box innards & an accompanying tambura, Metzger dives deep into the raga heart of a moonlit day & returns with the jewels of “August.” Released in an edition of 766 copies, with silkscreened poplar wood covers. Strictly limited edition of 421 vinyl copies only. 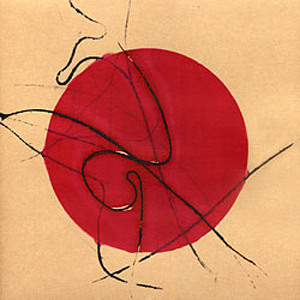 Screen-printed onto wax paper sleeves, with an insert. Pressed on 180 gram vinyl. Filleted over two sides of wax, here we have a rare meet up of three of the brightest lights in the twin cities’ musical orbit. 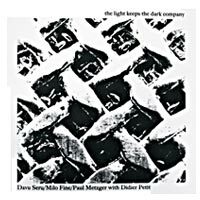 On March 21, 2009, Paul Metzger – best known for his transcendental gypsy raga guitar and banjo meditations – jumped in the ring with percussionist Davu Seru and veteran multi-instrumentalist Milo Fine for an evening of uncompromising spontaneous composition. Medusa’s Lair is stunning, inscrutably wily, living music. One time edition of 300 lps pressed on 180 gram virgin vinyl. ‘Superbly stylish in conception and packaging, it shows that small independent labels can still be an inspirational force’ (Daily Telegraph);’definitive and essential’ (Brainwashed);’stunning in its historical interest and musicianship’ (Boston Phoenix);’phenomenal and mesmerizing’ (Dusted);’one of the major phonographic salvage operations of our time’ (The Wire).